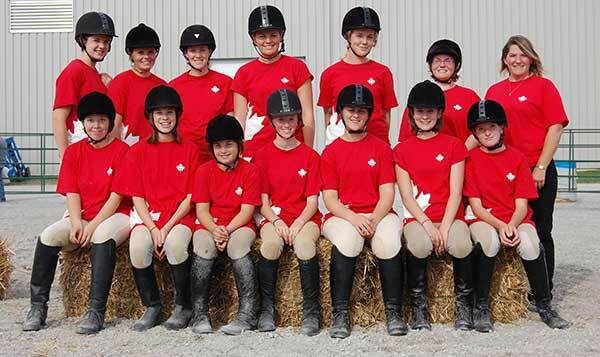 We are open year round for lessons, trail rides and day camps. 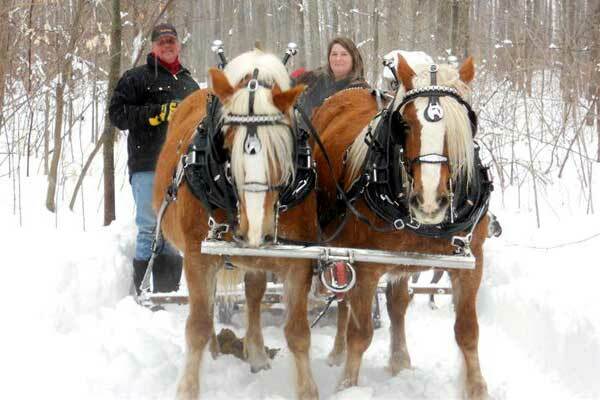 During the Winter months we offer sleigh rides. In the Summer months we offer wagon rides. Boarding is available to approved customers. Have a look around our web site and feel free to drop in for a visit during our regular working hours. However, please respect that Sunday is our family day. 200 acres of trails that take you through fields, woodlots, streams and to one of the highest elevations in Otonabee offering breathtaking views of Rice Lake. 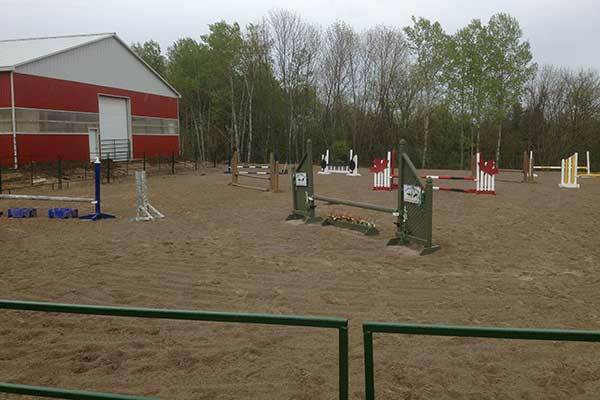 Jeannine and her family own and operate Stillbrook Riding Stables just east of Keene, Ontario. This fun loving bunch are a wonderful family who just love Horsin' Around! Jeannine is the heart of Stillbrook Riding Stables, and her love of horses can capture the dreams of your child; and help them soar. When I was two years old, my Mom and Dad purchased a farm in Otonabee Township. I moved there along with my three sisters and three brothers and my love of animals and the great outdoors began. My father enjoyed animals so it wasn't long until we had pigs, cows, chickens and a pony named Ringo. Ringo was your "typical" pony, and we were your "typical" first time pony owners. It wasn't long until Dad acquired an older horse named "Rufus". Rufus was the wonder horse! I often wondered if there was anything this great animal couldn't do. I grew up riding Rufus, driving while he pulled the sleigh, and pulling me while I was on the toboggan. Rufus was one of the oldest horses in Otonabee and the whole time we owned, him he never did anything wrong. He was a certainly a gift from God and was cherished until the end. At the age of 12, I began saving my baby sitting money until I had enough to buy a little weanling Appaloosa filly. I named her Shasta and throughout the next 30 years I learned much about training, riding and discipline from this spunky, athletic mare. Shasta and I competed in many Competitive Trail Rides and showed at fairs and local shows throughout our area. As a child, I had no formal lessons but I read everything I could get my hands on and gained my experience the practical way. If I fell off, I figured out what I did wrong, if I got the results	I wanted, I repeated what I was doing. In 1980 I was accepted into the Equine Studies program at Humber College. It was amazing to have things that I had worked so hard to accomplish, explained so easily. I was constantly thinking "So that's why that worked for me." In the back of my mind, I wanted to share with others what I had worked so hard to learn. When I graduated, my highest mark was in Instructional Theory; and after completing the Practice Teaching course, I knew someday I wanted to teach. My wish came true sooner than I expected. I was hired by Humber College to be the Assistant Instructor of the Continuous Learning night courses. After graduating, I worked on an Arabian horse farm and shortly after, married the man of my dreams. We bought the farm that we live on now and started to raise our family. I stayed home to raise our kids but always kept up with my interest in horses. Once our three children got a little older, I decided it was time to fulfill my dream of teaching students who wished to learn how to ride. 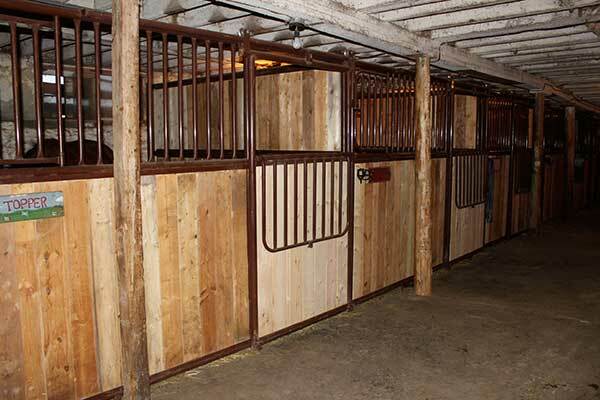 In 1997 instead of just having horses just as a hobby we expanded our facility and began to board and train horses. Soon after I began giving riding lessons full time. 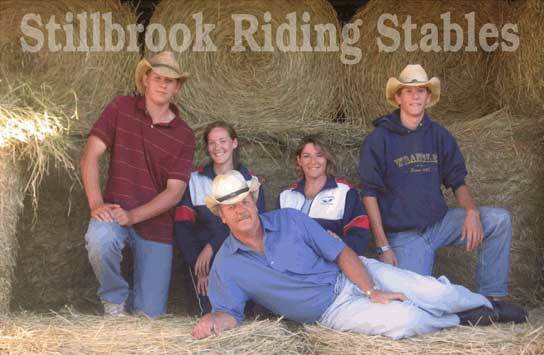 One of our favourite sayings is: "at Stillbrook Riding Stables dreams come true". I know that in my heart they difinitely have, and still continue to come true. I would like to share that dream with your child and be given the opportunity to make your child's dream come true too. 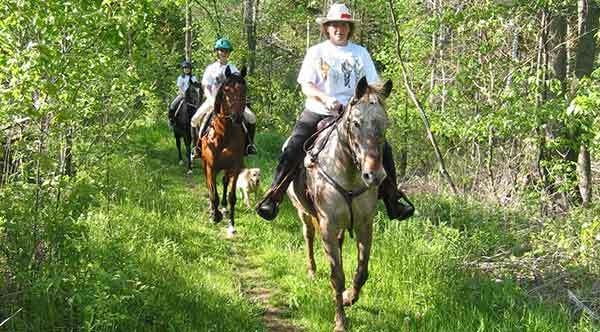 Enjoy a 1-hour trail ride for ages 6 and up. Call to book your Trail Ride Today! "The Outside of a horse is the BEST thing for the Inside of a Child"